No, we aren’t talking about picnic blankets. We are talking about the timeless pattern that works on anybody (you too, guys)! This print has been fashionable for decades and has been spotted on runways consecutively since Fall 2017. It looks like it’s here to stay. This pattern originated in Scotland, where it’s referred to as ‘tartan,’ and has been featured in fashion catalogues since the Victorian era! 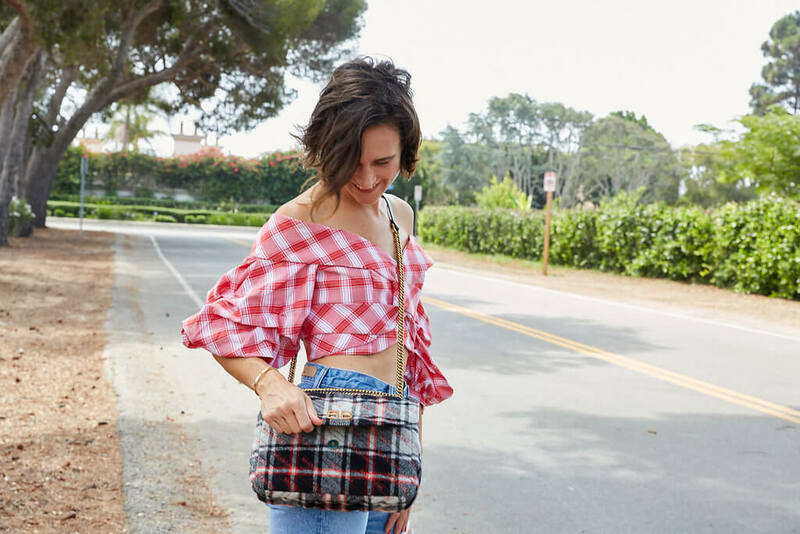 We are so glad to see that plaid is back for Fall 2018. It is one of the most wearable high fashion trends. Why have all the top designers gone absolutely crazy for this look? A lot of reasons. So many 90’s trends are having a moment right now. What was your favourite 90’s accessory? 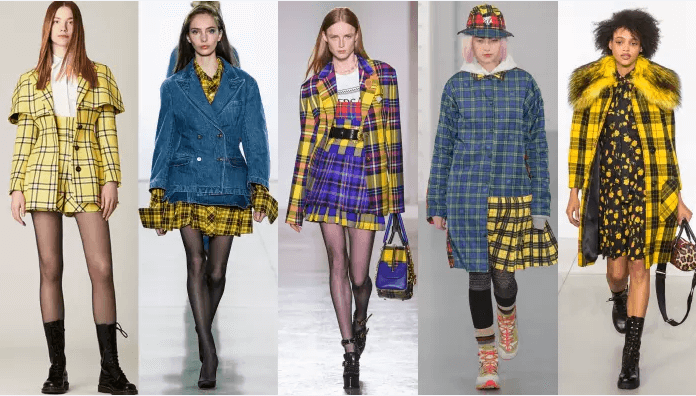 It seems like every designer this season was inspired by the iconic yellow plaid look in the classic rom-com Clueless, but we’re not complaining! Versace and Matthew Adams Dolan went feminine and preppy, and Nicopanda tapped into the grungy aesthetic. Plaid comes in so many colors and variations which gives it an incredible range and ability communicate any mood. Plaid is extremely versatile; it needs to be a staple in your closet. It works as a memorable statement piece but can also be a casual accessory. It is professional enough for meetings at the office, but also chic and fun enough to wear to brunch with the girls. Up to you! So much fashion freedom! If you want to stand out in a crowd, you can go for the head-to-toe plaid look and you are set for a fun day. 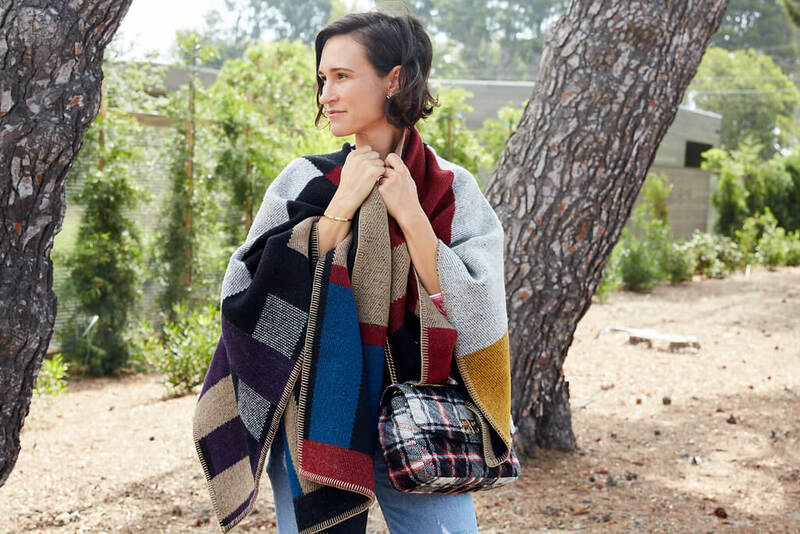 If you are not ready for that, then try just a pop of plaid patchwork on a handbag, scarf, or a cute shoe. Denim works perfectly with this pattern, when you are going for a more relaxed and casual vibe. 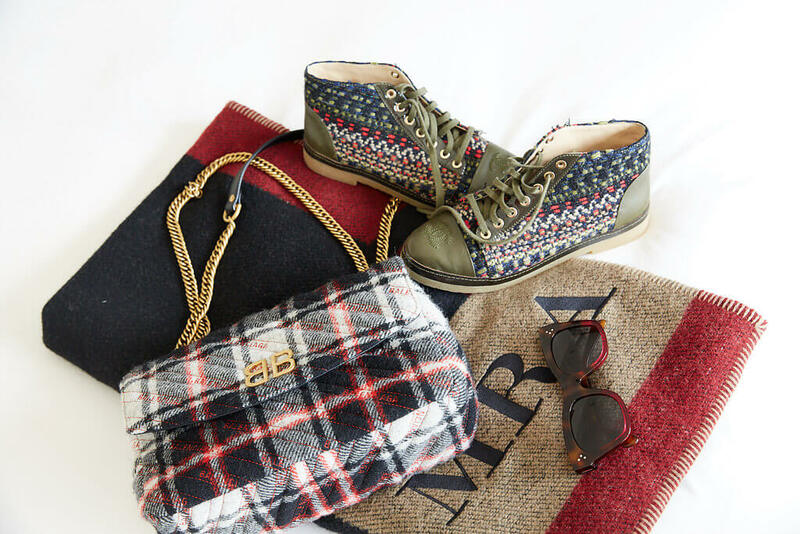 Plaid always looks great paired with solid colors and prints. Adding some black to your plaid outfit really makes the pattern pop. If you’re wearing a plaid dress, try combining it with some darker shoes, coat, handbag, or a thin belt! We can’t wait to play with all the looks plaid has to offer!